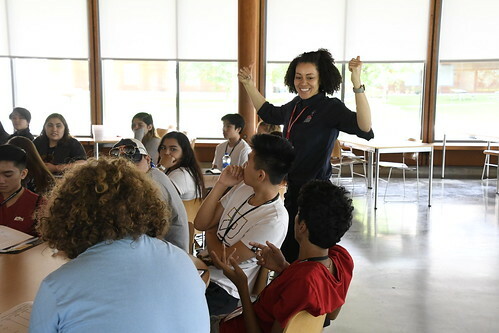 Daily Program Update: Final Day of NSLC at Rice 2018! Today marks the end of NSLC’s time at Rice University for this summer. We are sad to see another wonderful group of students go, but are excited to see where their new technical skills and leadership knowledge take them in life. Have a great summer, everyone! Students will soon be able to view their session photos on myNSLC. Follow us on Twitter and Instagram for more frequent updates. On Saturday afternoon, Medicine & Health Care students learned the basics of dermatology and EMT procedure. On Friday, both NSLC programs at Rice University spent the day visiting Space Center Houston. 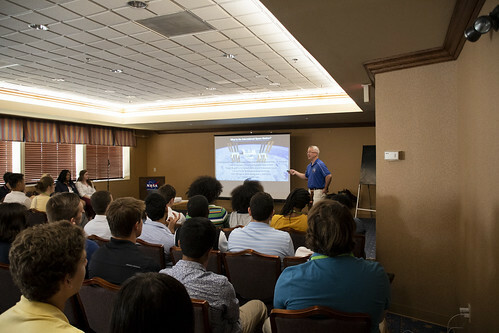 Engineering students were given a presentation by guest speaker Steve Riley, Deputy Chief of NASA’s Space Vehicle Mockup Facility. 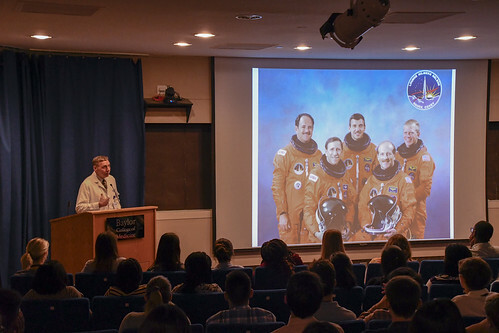 Medicine & Health Care heard from Dr. Richard Anthony Scheuring, a NASA flight surgeon. Many were able to tour the Space Vehicle Mockup Facility and the historic Gemini and Apollo era Mission Control Center. View the Flickr album for today’s guest speakers here. 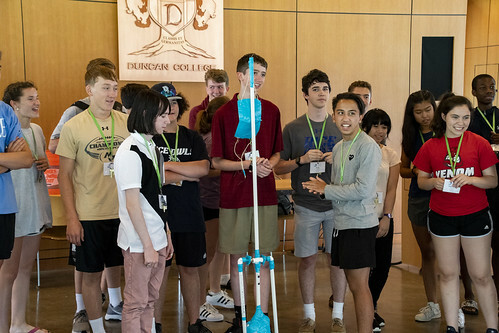 On Thursday, Engineering students were given a limited amount of time and materials to create functioning trebuchets that would successfully launch a tennis ball as far as possible. View the Flickr album here. 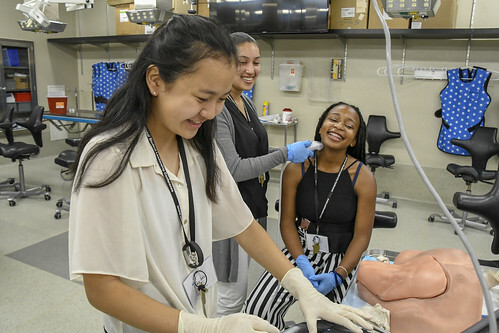 Early Wednesday morning, Medicine & Health Care students visited the Baylor College of Medicine where they were presented with keynote presentations by Dr. Karen E. Johnson and Dr. David C. Hilmers. View the full Flickr album here. Regardless of program specialty, the NSLC devotes a significant amount of time on leadership activities. 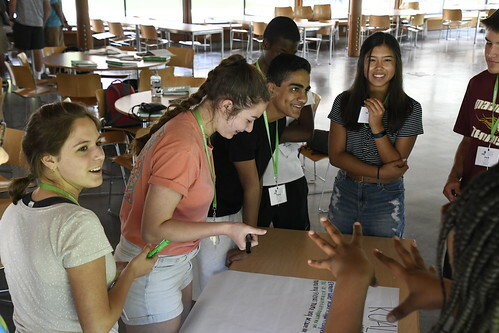 In a session led by Leadership Facilitator Ms. Selena Brown, students explored the ideas that people are always communicating and that conflict isn’t always a bad thing. 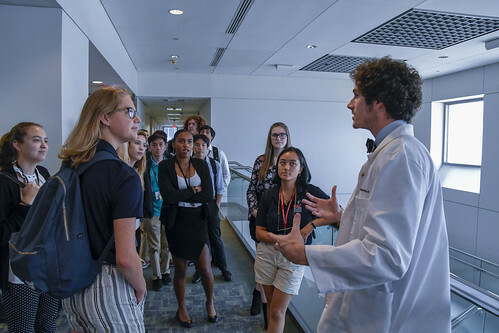 Throughout Tuesday morning and afternoon, Medicine & Health Care students took turns visiting the University of Texas’ McGovern Medical School. They were provided with demonstrations and hands-on advice about intubation, lumbar punctures, ultrasounds, and IVs. Follow more of Medicine & Health Care activity on Twitter and Instagram with the hashtag #NSLCHEAL. Throughout Monday afternoon and evening, Engineering students rotated to different stations where they learned about 3 major engineering activities. 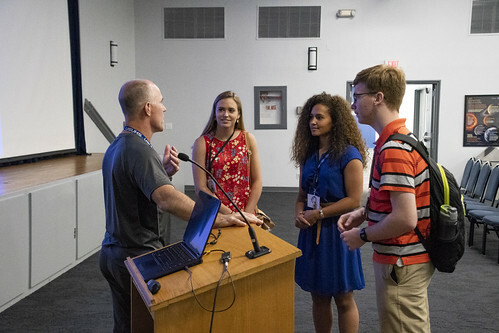 Each session began with a short presentation on a different type of engineering – its academic requirements, its career possibilities, and the future of its industries. Team advisers provided demonstrations on soldering, challenged students to create their own water filters with basic materials, and quizzed students on their knowledge of computer languages. Students in the Medicine & Health Care program spent their evening in labs. 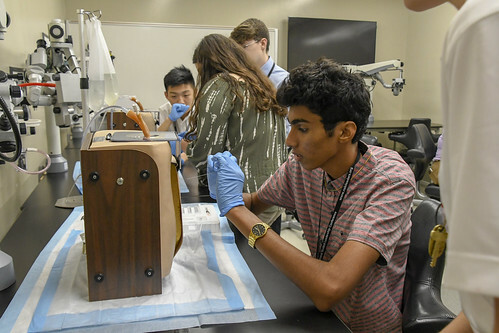 With the help of Dr. Richard Marfuggi and the NSLC team advisers, they learned how to suture cuts on pigskin as well as complete dissections of sheep hearts and cow eyes. View the full album on Flickr. Both the Medicine & Health Care and Engineering programs spent part of their first full days on campus with our leadership facilitator, Ms. Selena Brown. They explored their personalities and leadership styles and discussed how it impacts them and those around them. View the entire album on Flickr. Welcome to the NSLC at Rice University! Follow us here for updates on all the exciting activities we have planned for our Rice programs this summer. To track upcoming events, please use the Program Schedules menu below. PLEASE NOTE: The NSLC Onsite Office at Rice University is closed for the summer. Please contact the main NSLC Enrollment Office with any questions at 1-800-994-6752.